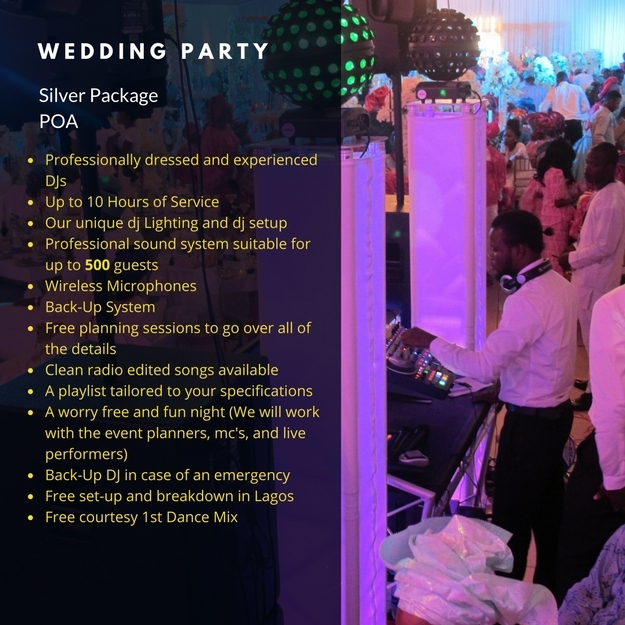 Our wedding dj, and event dj prices in Lagos are very competitive, and may not be the cheapest dj prices around or available in Lagos. 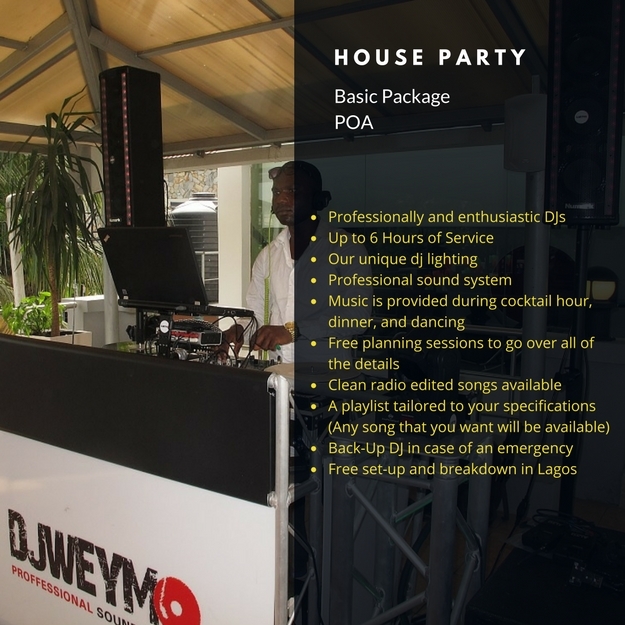 We are however the best djs in town who bring the mobile party feel and atmosphere to you here in Lagos! 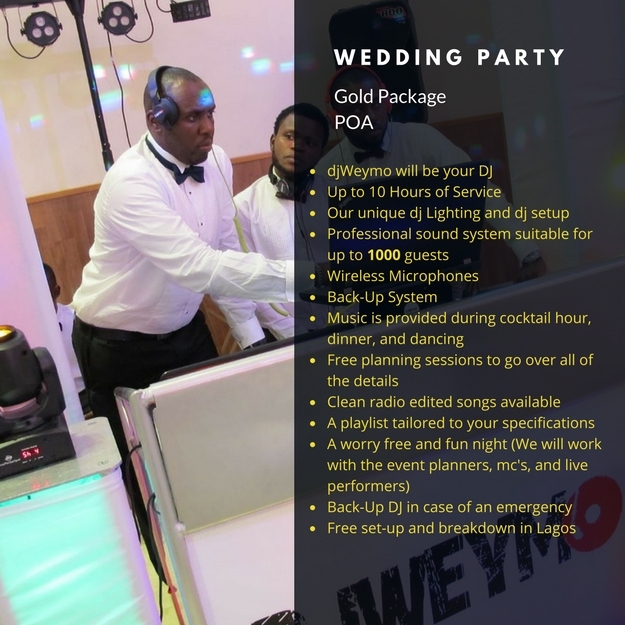 We also happen to be one of the top 5 Wedding djs in Lagos! On your big day, it is our aim to help you create the wedding day that you have always dreamed of. We work with you to create the ideal custom playlist and soundtrack that meets your musical needs. We handle every type of party and event, including Sweet 16s, Graduation Parties, Corporate Events, Reunions and much more! 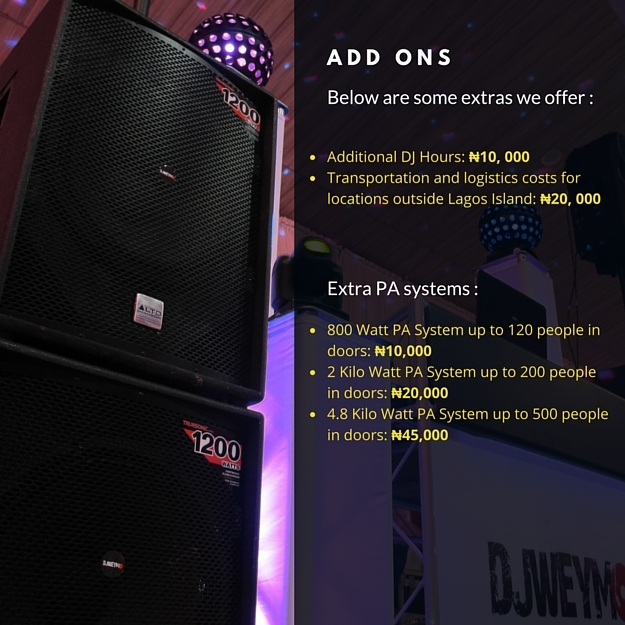 Our prices reflect the quality and professionalism that we bring.